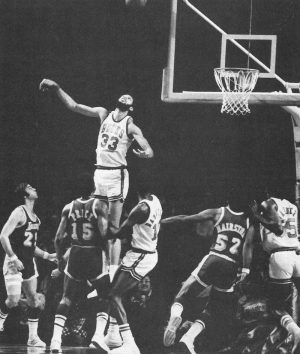 The Milwaukee Bucks joined the National Basketball Association in 1968 and won the league championship three years later—setting a record for the shortest time from entering the league to becoming world champions. The team has won thirteen division titles and played in the conference finals twice. Kareem Abdul-Jabbar, Junior Bridgeman, Bob Lanier, Jon McGlocklin, Sidney Moncrief, Oscar Robertson, and Brian Winters are the former Bucks players whose jersey numbers have been retired. Future Senator Herb Kohl, a lifelong Milwaukee BASKETBALL fan and Bucks supporter, purchased the Bucks from Jim Fitzgerald in 1985 to ensure the team would stay in Milwaukee. In 2014, Kohl sold the team to Wesley Edens and Marc Lasry. The Bucks have played their home games at the BMO HARRIS BRADLEY CENTER since 1988, after twenty years at the MILWAUKEE ARENA. ^ “Famous Firsts.” Bucks.com, Bucks History, last accessed June 8, 2016. ^ “Team History.” Bucks.com, Bucks History, last accessed June 8, 2016. ^ “All-Time Jersey Numbers.” Bucks.com, Bucks History, last accessed June 8, 2016. ^ “Seven New Faces.” Time, June 24, 2001. ^ “New Milwaukee Bucks Owners Thank Fans, City,” Milwaukee Journal Sentinel, May 17, 2014. ^ “Team Facilities,” BMO Harris Bradley Center, last accessed June 8, 2016. Carry, Peter. “Hey, Look, Ma! Only One Hand!” Sports Illustrated, May 10, 1971. Cotton, Anthony. “There’s No Stopping the Bucks.” Sports Illustrated, February 22, 1982. Fishman, Marv, with Tracy Dodds. 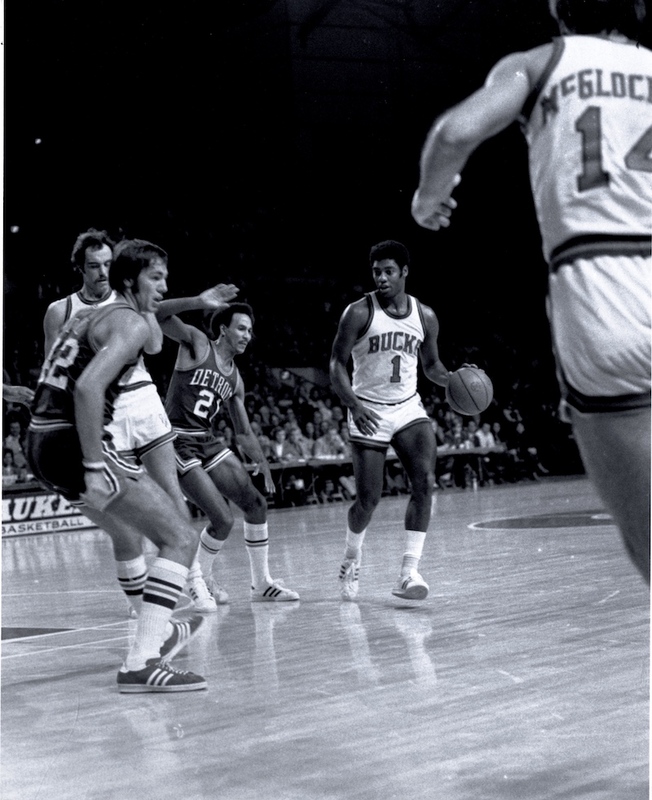 Bucking the Odds: The Birth of the Milwaukee Bucks. Milwaukee: Raintree Publishers Limited, 1978. Maule, Tex. “Lew Turns Small Change to Big Bucks.” Sports Illustrated, March 9, 1970. Simmons, Bill. The Book of Basketball: The NBA According to the Sports Guy. New York: Ballantine Books, 2010.